Today I met up with my 2 sisters for a quick catch up and coffee. 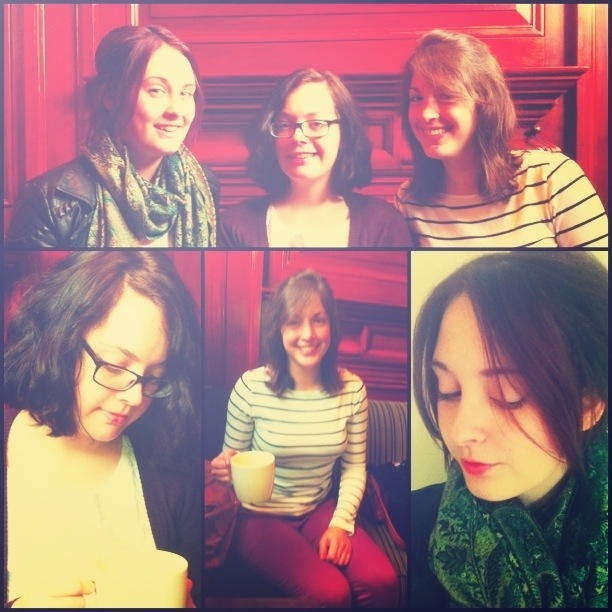 My younger sister has just had her cut, to a short bob – previously it was a lot longer, but the waves were looser. 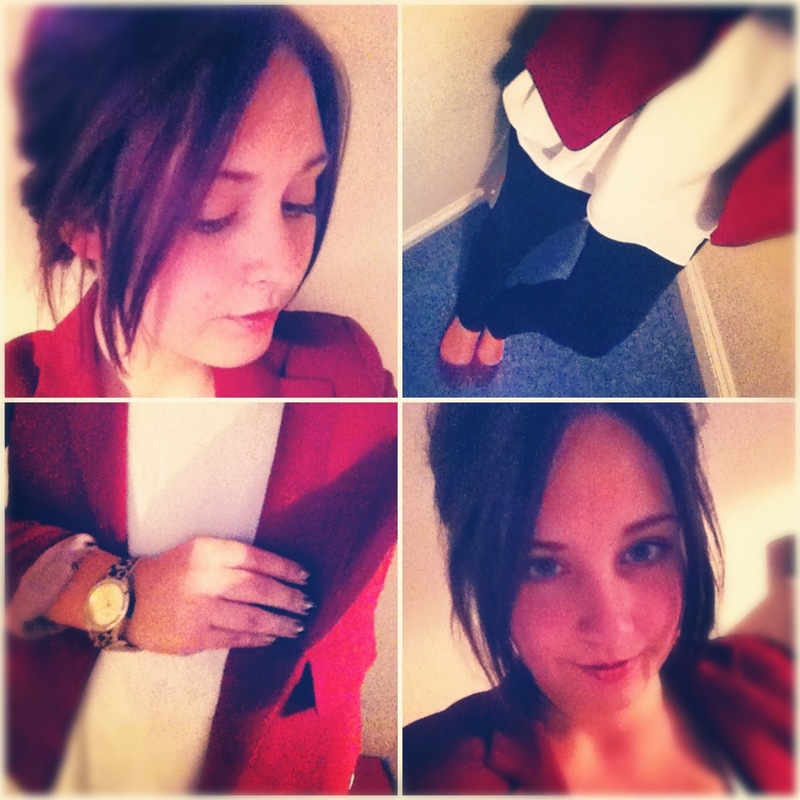 My older sister has always had shorter hair, but wears it in loose waves – always looks lush. 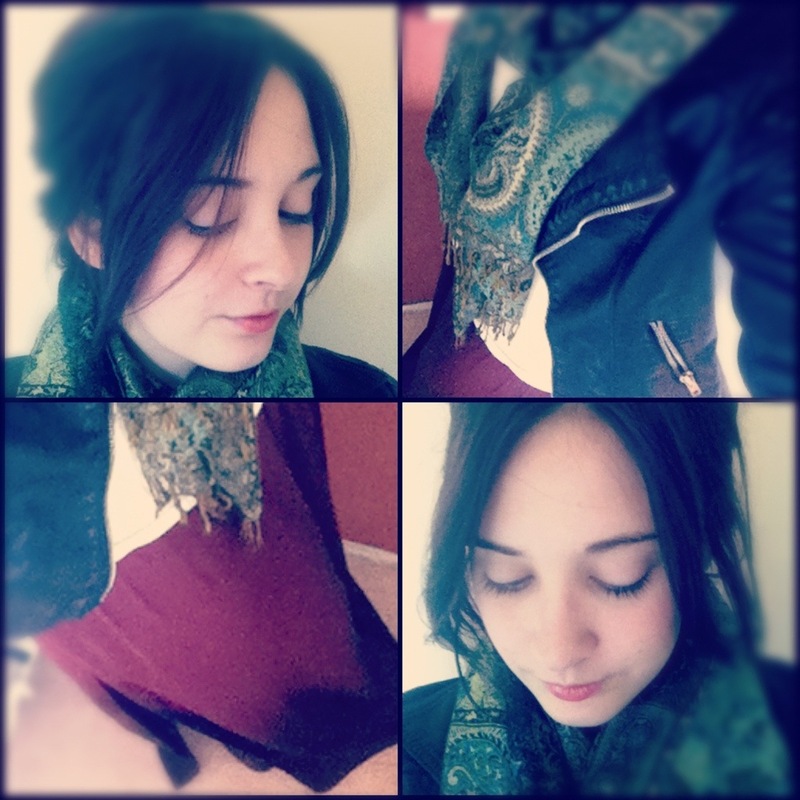 I’m on Twitter and recently started searching for some fashion bloggers to follow. I came across the Independent Fashion Bloggers. They offer fantastic advise and tips for fashion bloggers, and I found there tweets really useful! 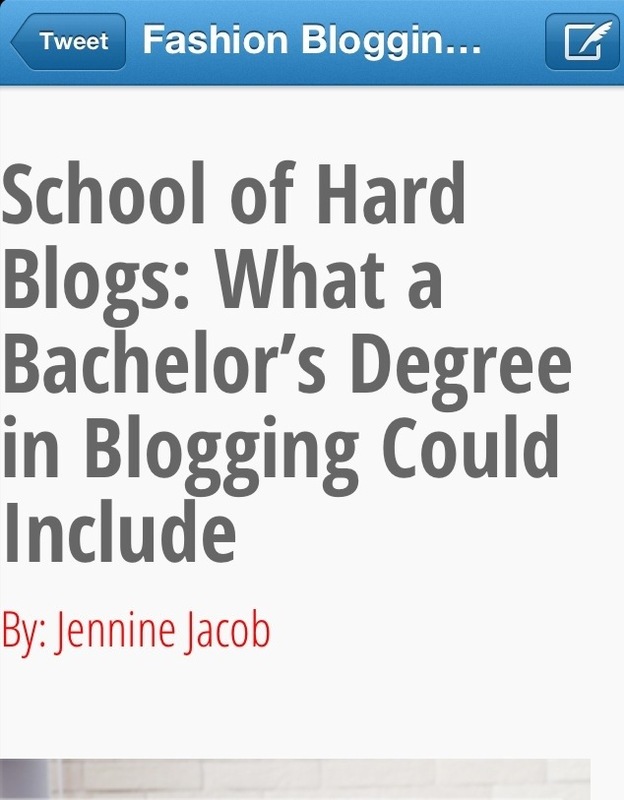 One tweet talked about a fictional BA in Fashion Blogging, and the modules it could contain. The comments were really helpful! 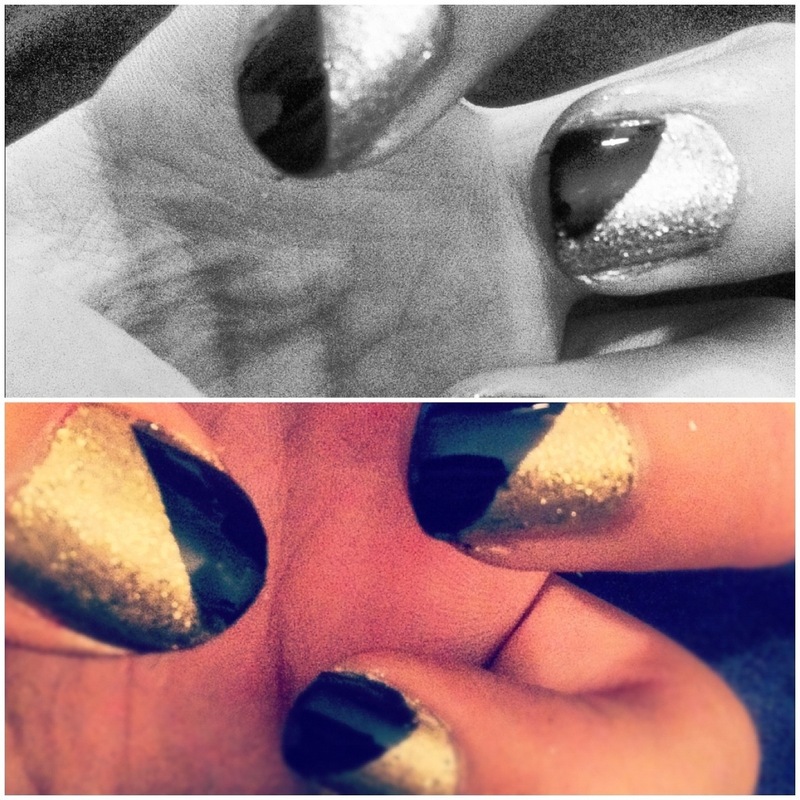 Loved the look of the gold glitter and black French mani – but I loved the idea of a diagonal pattern to add an edge to a classic colour design. 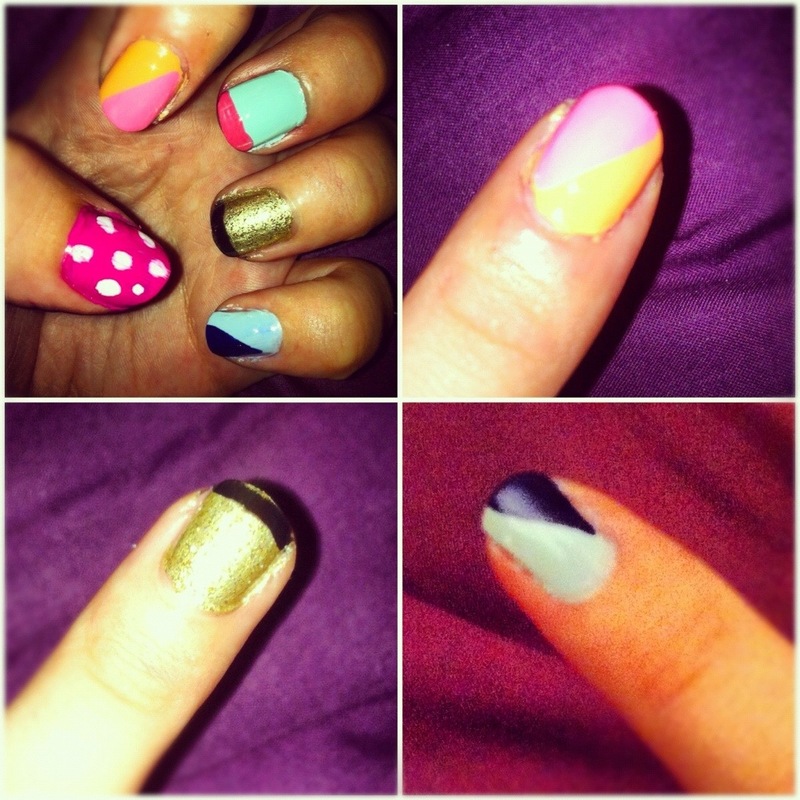 Had a few comments about the nail designs over the past week, so I tried a couple out! I recently changed my hair colour…again!! 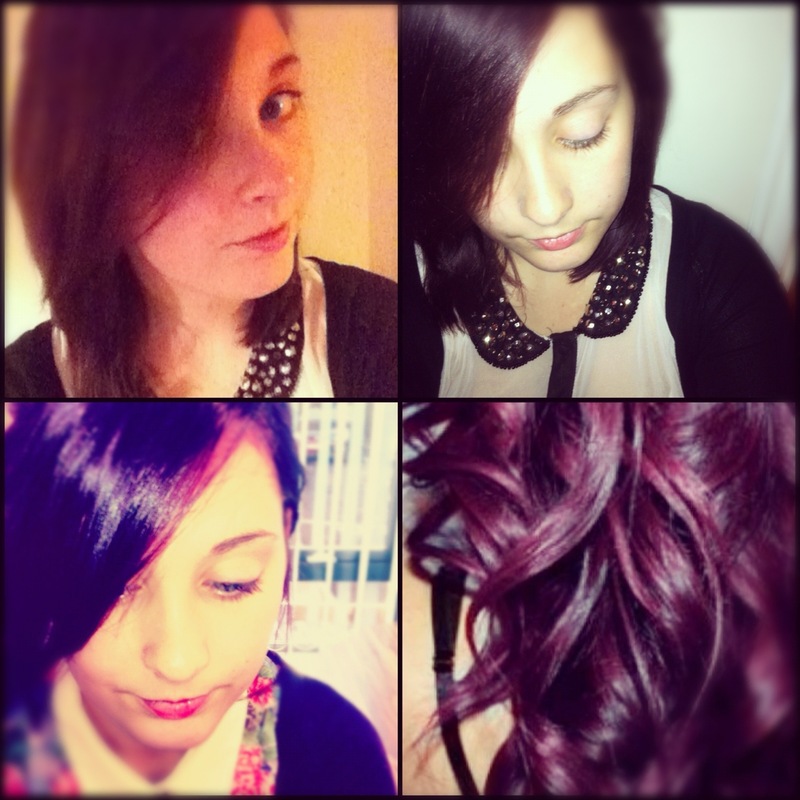 Going from blonde to dark purple was definitely a shock, but I’m loving it now. The bottom right picture isn’t my hair, but it’s a look I’m aiming for – through extensions and highlight. 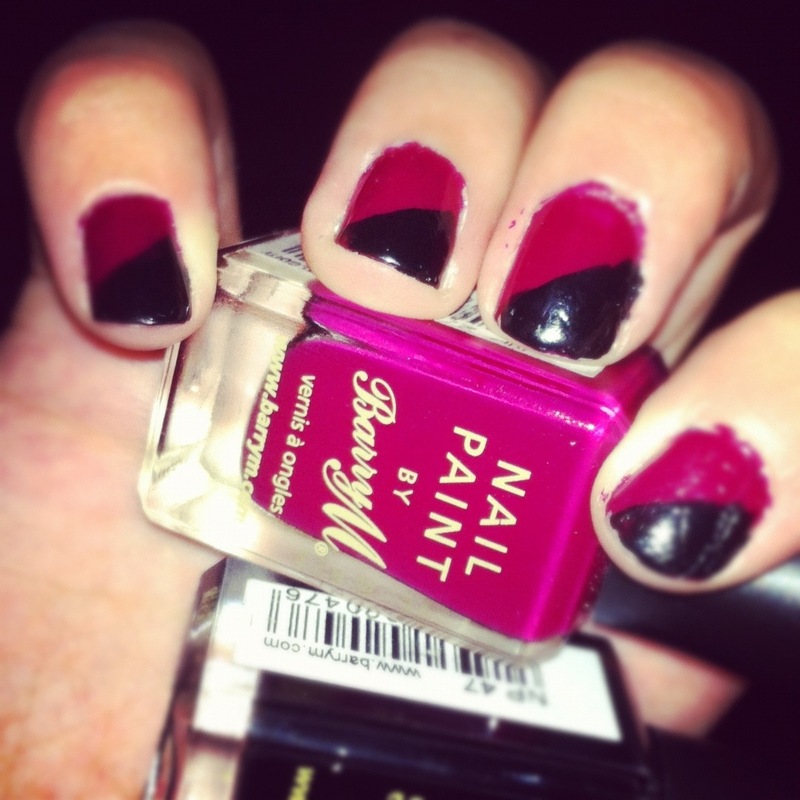 I tried some nail art recently, with some on trend colours – oxblood/raspberry and black. 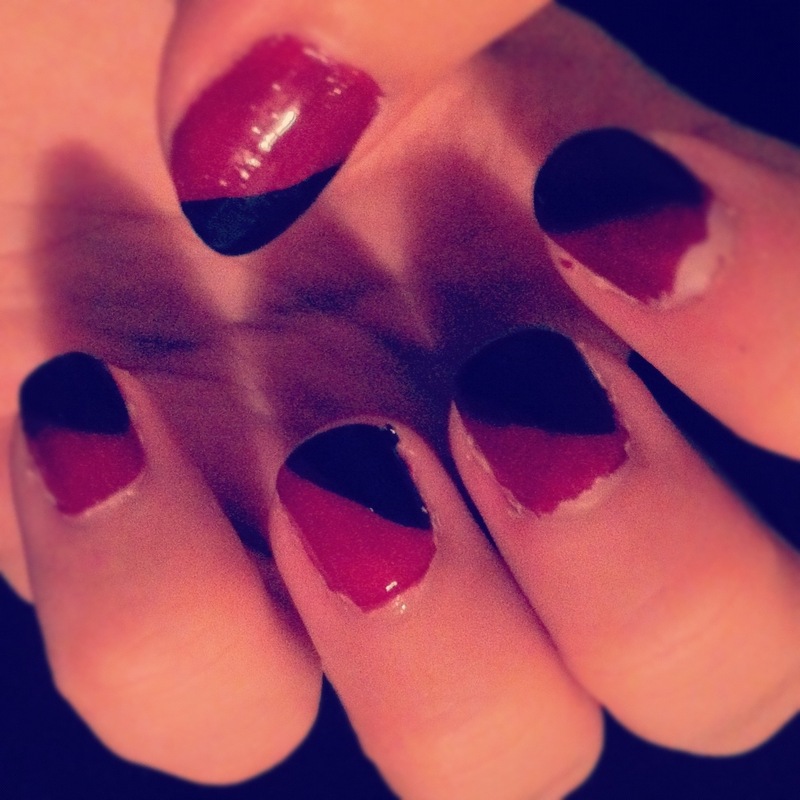 I’ve wanted to try the diagonal manicure in a while, but hasn’t found the right colours to experiment with. Let me know what you’ve been up to, and what colours you’ve been experimenting with. 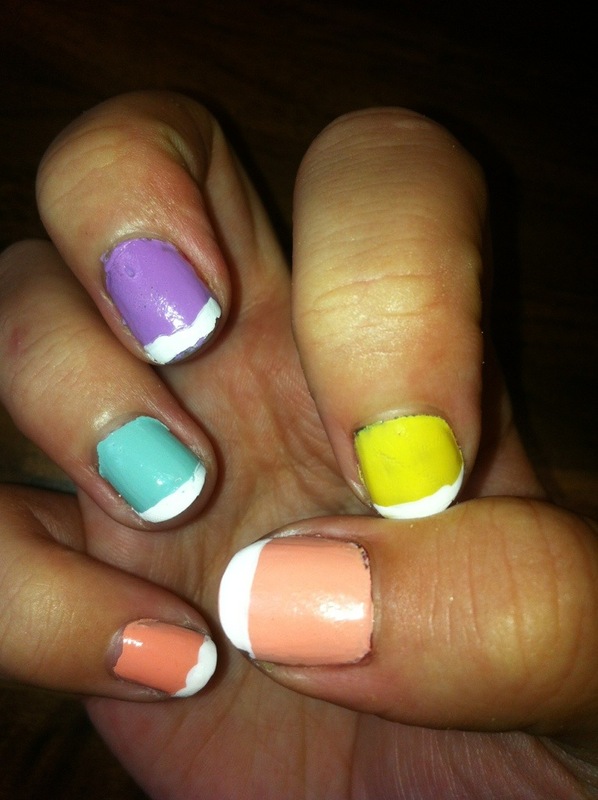 I recently saw some gorgeous Essie Mint apple nail varnish (shown above) and wanted to try it as a French manicure. However, I also noticed I had so many pastel shades, and wanted to experiment! Let me know what you think! What other shades and colours would work?